Can we change global diets so they get smarter – more nutritious and more environment friendly with Smart Food? 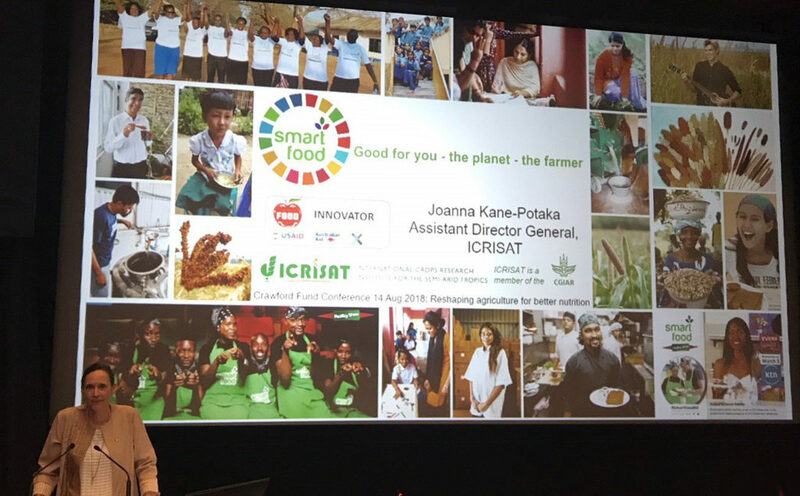 This was the pitch of ICRISAT’s Assistant Director General Joanna Kane-Potaka at the Crawford Fund annual conference 2018. 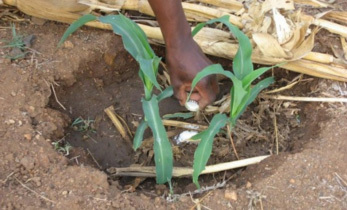 Held at the Parliament House in Australia, Kane-Potaka said Smart Food, like millet and sorghum could tackle some of the biggest global issues of today. 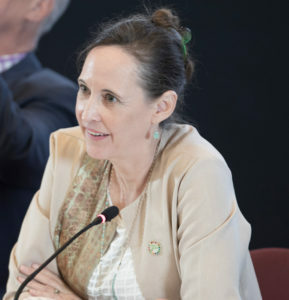 “Smart Food – food that is good for you, the planet and the farmer – can have a major impact on the mega-global issues of malnutrition, poverty and environmental degradation,” said Kane-Potaka, also Executive Director of the Smart Food initiative. Smart Food was on display at the conference in the Mural Hall of Parliament House and the initiative was selected as a top global food innovation in a competition run by Australia’s Department of Foreign Affairs and Trade and USAID, according to a media release issued on the occasion. 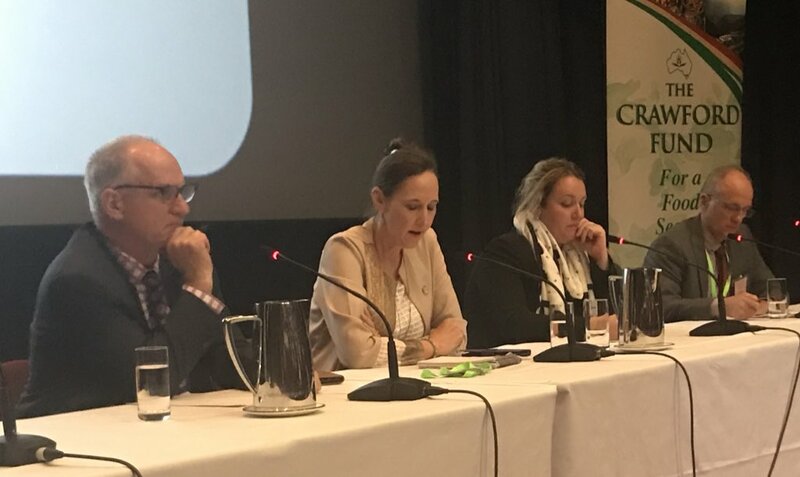 The Crawford Fund’s annual conference has for close to 30 years drawn focus to issues for attention in Australia and globally on agricultural development and food security. The ‘Reshaping Agriculture for Better Nutrition: The Agriculture, Food, Nutrition, Health Nexus,’ the 2018 annual conference focuses on how we can we feed the world’s increasing population with a nourishing diet that promotes good health and at the same time minimizes further environmental impact? 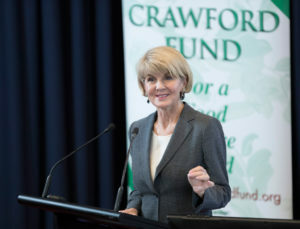 Key speakers at this year’s conference include, Julie Bishop MP, Minister for Foreign Affairs, John Anderson AO, Chair of the Crawford Fund, Alessandro Demaio, CEO, Eat Foundation, Dr Jessica Fanzo, Bloomberg & UN FAO, Prof Andrew Campbell, CEO ACIAR and many key leaders in agriculture and food security. 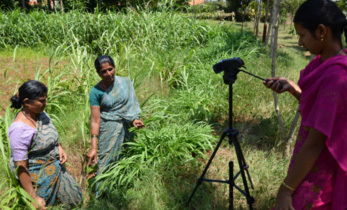 In her speech, Julie Bishop, recommended innovative solutions for better nutrition in the world and specifically referred to the Smart Food initiative of ICRISAT called it an exciting breakthrough and one of the innovations that could really make a difference. On the role of Australia in promoting Smart Food, Kane-Potaka said the country had the right agroecology to be a leader in spreading this movement to benefit from what could be a new food trend. 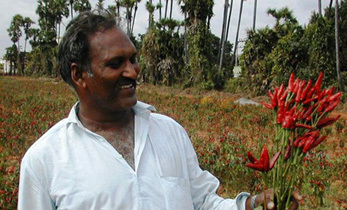 Explaining that millets and sorghum are traditional foods of many countries across Asia and Africa, they survived well in hot dry marginalized lands and were suitable for Australia’s agroecology, especially in time of minimal rainfall. 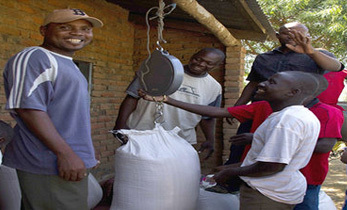 She encouraged Australians to consume more millets and sorghum, for their health benefits. 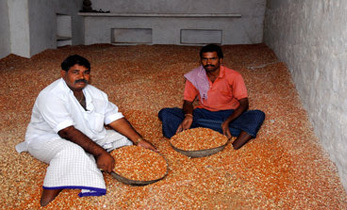 Finger millet has three times more calcium than milk, pearl, little and barnyard millet have 2-4 times iron than meat and all millets and sorghum are gluten free with low glycemic index. 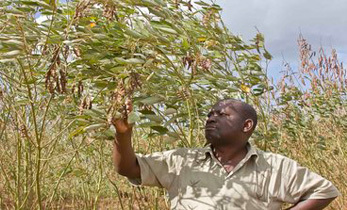 The Smart Food global campaign founded by ICRISAT is a global campaign for foods that ensure well-being of people and the environment along with better incomes for smallholder farmers of Asia and Africa.